There is no dearth of good multicuisine restaurants in or around Gurgaon. But when you specifically talk of restaurants that specialize in the Mumbai cuisine, you identify a gap that is so hard to fill. This is where Junoon Restro Bar steps in, churning out a large assortment of interesting, authentic dishes from Mumbai. Located in a quaint little corner of Baani Square, Sector 50, Gurgaon, Junoon Restro Bar was opened to the general public on February 4 of this year. Brainchild of restaurateur Pooja Ahuja, this 60-cover property is the perfect place to wine and dine after a long, arduous day at work. With a covered area of nearly 3500 square feet, the restro bar is hailed for serving Mumbai Tawa and North Indian delicacies. In fact, it was the Mumbai cuisine that I couldn't stop raving about! 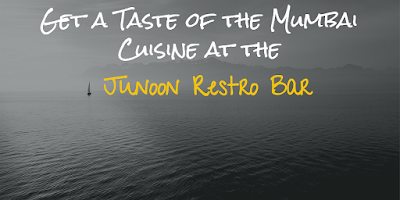 Open every day from 12 noon to 12 midnight, Junoon offers a flat 30 percent discount on dine-in orders above INR 1000. The only condition is: make sure you order between 12 noon to 7 pm. The kitchen is in the capable hands of Chef Qutab Singh Negi, who specializes in the tandoor cuisine of India and Chef Jamil, who specializes in the Mumbai cuisine. 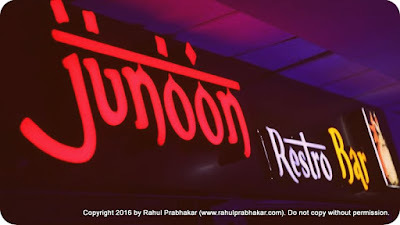 Before joining Junoon in January 2016, Qutab worked for several reputed F&B properties like The Ashok, Punjab Grill, Green Lounge, etc. If you've ever been through the famous food lanes of Mohemmad Ali road in South Mumbai, you probably know that each year the place comes alive with gastronomic activities during the Holy month of Ramadan. Now you no longer need to travel all the way to Mumbai to get a real taste of Mumbai. Junoon has it all! A crowd pleaser made of potato and cheese that serves both as a great snack and a scrumptious starter. A delicious mix of flavorful chicken and eggs in a crispy roti. Stuffed multi-layered paratha, which is pan cooked until both the sides are golden brown. Deep-fried vegetarian cutlets made of sweet corn and gram flour mixed with spices. Spicy, vegetarian pan fried beetroot patties; serves as an excellent snack or starter. Mutton mince spiced with green chili, finely chopped coriander, cooked in tandoor. An exotic spicy chicken preparation, which is also a chef special at Junoon. This exotic lamb preparation, with origins from the Kashmir region, is bound to tickle your palate. Among the desserts, I drooled over the Chef Special Phirni and Kulfi (Paan/Melon). If you're too lazy to walk down to the restro bar, you can also opt for home delivery. 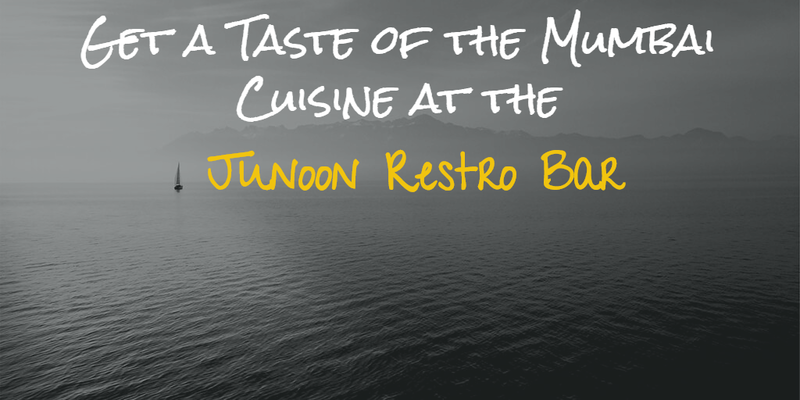 Junoon Restro Bar is popular for all the good reasons, and I strongly recommend a visit to this property.